Sharon Peters is an award-winning journalist who has worked as a reporter, editor, or consultant for several newspapers and launched the popular weekly "Pet Talk" column in USA Today. She turned her attention to writing about animals after volunteering in Mississippi for several weeks after Hurricane Katrina. She lives in Colorado. "A well-written, grim portrayal of Edelman’s struggle to survive." 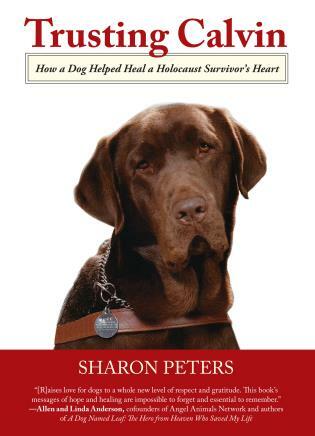 "Sharon Peters masterfully shares the journey of Calvin, Boychick, and Tobi, the guide dogs who penetrated a Holocaust survivor’s pain, distrust, and blindness. Max Edelman’s life-affirming and exquisitely written story raises love for dogs to a whole new level of respect and gratitude. This book’s messages of hope and healing are impossible to forget and essential to remember." Max Edelman was just 17 when the Nazis took him to the first of five work camps, where his only hope of survival was to keep quiet and raise an emotional shield. After witnessing a German Shepherd kill a fellow prisoner, he developed a lifelong fear of dogs. Beaten into blindness by two bored guards, Max survived, buried the past, and moved on. But when he retired, he needed help. After a month of training, he received Calvin, a devoted chocolate Labrador retriever. Calvin guided Max safely through life, but he sensed Max’s distance and reserve. Calvin grew listless and lost weight. Trainers intervened—but to no avail. A few days before Calvin’s inevitable reassignment, Max went for a walk. A car cut into the crosswalk, and Calvin leapt forward, saving Max’s life. Max’s emotional shield dissolved. Calvin sensed the change and immediately improved, guiding Max to greater openness, trust, and engagement with the world. 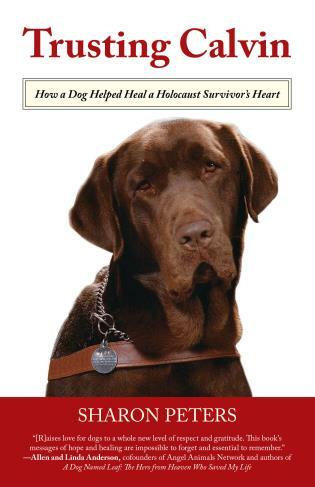 Here is the remarkable, touching story of a man who survived history and the dog that unlocked his heart.